“The Liberal government is like a double-headed beast speaking lies out of one mouth and their sleazy intentions out of the other,” said Saganash, who has tabled a private member’s bill to harmonize federal laws with UNDRIP. The startling statement by the department’s most senior official emerged in an email discussion between senior officials in the department over media lines requested by Bennett’s office on UNDRIP and its article on free, prior and informed consent (FPIC). 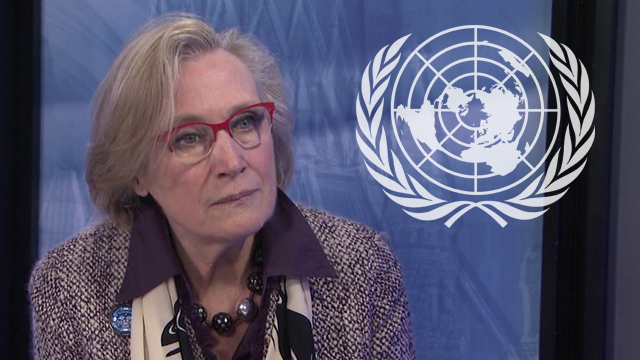 Bennett had travelled in May 2016 to New York City and announced Canada’s unfettered embrace of UNDRIP during a speech to the UN Permanent Forum on Indigenous Issues. UNDRIP had received a qualified endorsement from the previous Conservative government of Stephen Harper which had initially refused to sign it. Two months later, in July, Bennett’s office asked the department’s communications team to develop media lines on UNDRIP and FPIC. The department’s communications manager Pamela Monfils emailed the media lines to Eric Poirier and Veronique Rozon, who are senior policy advisers to Laurendeau, the department’s deputy minister. The media lines included references to planned consultations on “how best to implement UNDRIP” and on how the international document would influence a planned review of federal laws and regulations. “Attached and pasted below for DMO (deputy minister’s office) approval is a statement for media requested by MO (minister’s office) concerning UNDRIP and FPIC,” wrote Monfils in the July 21, 2016, email which also requested a response that same evening. Poirier, Laurendeau’s senior policy adviser, replied the next morning at 8 a.m. saying the lines had been approved by Laurendeau, but with an added comment from the deputy minister. The term s. 35 refers to Section 35 of the Constitution which recognizes Aboriginal rights and title. Bennett’s office did not respond directly to the content of the email. Instead, the minister’s office sent a statement to APTN National News with a quote from Prime Minister Justin Trudeau’s speech to the Assembly of First Nations last December along with a link to the speech. “As the prime minister said last December in his speech to the (AFN) special chiefs assembly, we remain committed to consulting with Indigenous peoples,” said the statement from Bennett’s office as an introduction to the quote. The quoted passage from Trudeau’s speech referred to Bennett’s UNDRIP announcement at the UN from May 2016 along with prime minister’s announcement that Justice Minister Jody Wilson-Raybould would lead the work on implementing the declaration. Saganash said the Liberals persistent talk on consultation when it comes to matters of rights betrays their true intentions. Typical Trudeau. This guy is so busy with bringing and allowing new immigrants to this country that he has no time or money for the long time residents of this country. “New” Canadians–not “old” means more votes because these people do not know the history of lies and betrayal by both main political parties in Canada. Also “Divide and Conquer” works well for this pretender. I’m not so sure these emails imply what is being alleged. 1) What specifically does “Free, Prior and Informed Consent” mean, legally speaking? Read article 46. UNDRIP recognizes only the colonial states as the sovereign, and nothing in UNDRIP infringes on the sovereign’s laws. 2) Only the sovereign has an absolute veto. So when can the sovereign “infringe” on Indigenous rights, as per UNDRIP? I’m not so sure this is going to be any different than “Duty to Consult, and Where Necessary, Accommodate,” which Canada now has under Sec. 35, Constitution Act, 1982. Also, Indigenous Rights are lumped in with all Human Rights under article 46 in UNDRIP. the metis are a good example ….nothing east of ontario recognized….. These so called representatives, working for us. They are not liberals nor do they understand the meaning of the party that they represent. So? its Justin Trudeau you know, the guy who bleated his phoney love for the Indigenous knowing full well, they would buy into his every word. Justin is all for Justin and cronies. Have you noticed that the media have not said a word yet? If the Indigenous people think that Justin is avoiding them only think again…Justin is avoiding the needs of ALL CANADIANS. Still, people fall for this phoney. 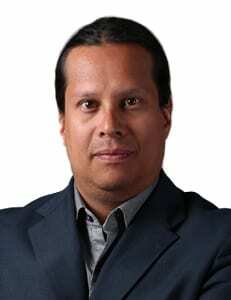 Question to Indigenous people ” where are the ‘idle no more’ protesters? I don’t see them anywhere. Where are all the settler protesters? I don’t see them anywhere. Lies begit lies !!! That’s what their system is all about!!! Corruption at it finest!!! Facisism and Genocide hand in hand !! !